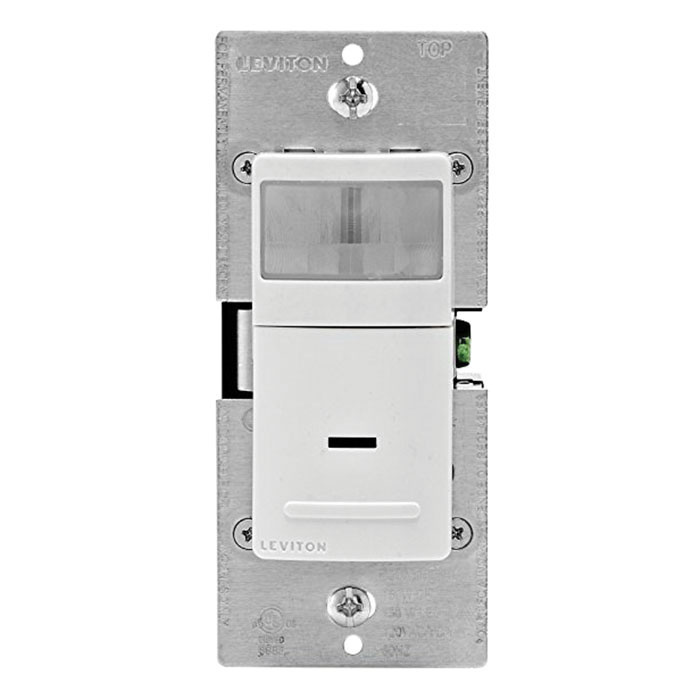 Leviton Decora® 1-Pole Universal occupancy/vacancy sensor in white/ivory/light almond color, features passive infrared technology. It has sensing distance of 900 Sq.ft and 180-degree viewing angle. Relay sensor requires 120-Volt voltage for operation. It is suitable for bathrooms, garages, hallways, basements, utility/laundry rooms, living/family rooms, bedrooms, dining rooms and kitchens. It has a dimension of 1.75-Inch x 4.13-Inch x 1.22-Inch. Sensor has response time of 30 seconds - 30 mins. It is wall mountable. Universal light control switches incandescent, CFL, LED and fluorescent ballasts using relay technology. 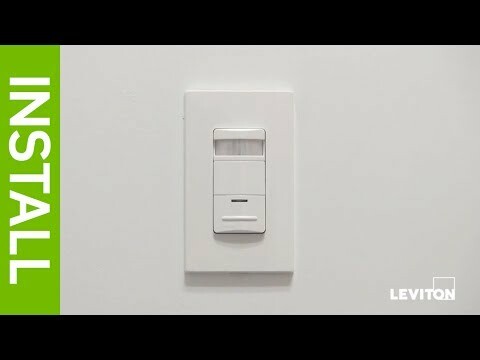 It fits in standard wallbox and replaces 1-Pole wall switch. Low-profile design eliminates an obtrusive scanning device look. It is compatible with both electronic and magnetic ballasts or 1/6 HP loads. Sensor with pushbutton switch, operates at temperature of 0 to 40 deg C. Sensor is UL listed.